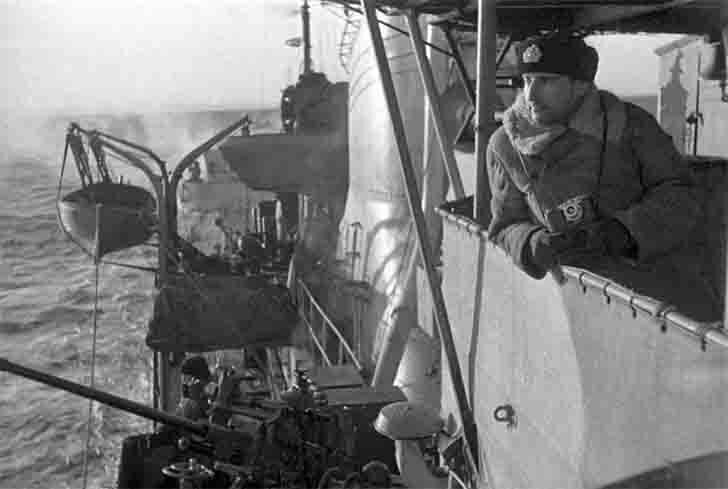 Robert Diament – author of many famous pictures of the Northern Fleet in the Great Patriotic War of the Soviet Union. Robert (Joseph-Raphael) L. (1907-1987) Diament – correspondent of the Northern Fleet in 1942. Robert Diament departing from the torpedo pilots, going out with divers on torpedoing enemy ships, destroyers provide security for Allied convoys. In the summer of 1944 as a photojournalist, by Robert Diament he made a trip to England as part of the order, to carry out special government task, and in October Robert Diament took part in the landing and fighting in the Petsamo-Kirkenes operation. Robert Diament carry out their dangerous work bravely and selflessly. For example, by Robert Diament was wounded when shooting volley main caliber cruisers, where he was: as the finger was on camera descent, Robert Diament not shut his ear. As a result of concussion Robert Diament almost deaf in his left ear – such was the price of a staff photojournalist. Robert Diament was awarded the Order of the Patriotic War II degree, two Orders of Red Star and medals.